We’ve gone to great lengths to design a range of work polo shirts which, to the untrained eye, looks just like regular polo shirts. They’re durable and hard wearing enough to be suitable for a range of trade and light industrial occupations, yet smart and stylish enough that you’d think nothing of wearing them to the pub after work. 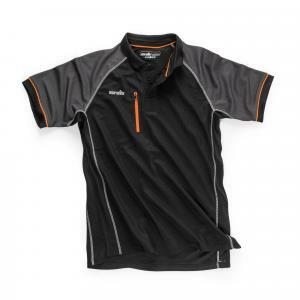 We offer a choice of three polo shirts. The classic long sleeve polo is made from a lightweight cotton pique, and features 100% cotton twill shoulders and elbows. It’s designed to provide comfort throughout the working day whilst still allowing you to present yourself as a smart and stylish professional. Similarly lightweight is our Active Polo. Made from our advanced “Cooldry” fabric, this is a fully breathable, wicking, anti-static work top that will keep you cool and focused, even through the hottest and most strenuous of tasks. Finally, we have a hard wearing worker polo shirt. Made from a durable yarn to ensure lasting colour and shape, it features a ribbed collar and cuffs to prevent curling, whilst the button fastened breast pocket gives it that practical edge. If you ever wanted a work shirt that could provide years of reliable use, it’s this one. 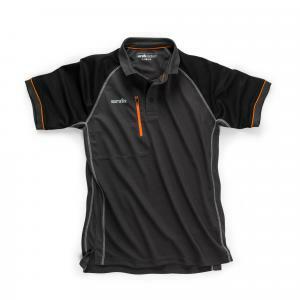 Our work polo shirts offer a relaxed fit and are available in sizes ranging from small to XXL. We offer free delivery as standard on all orders.